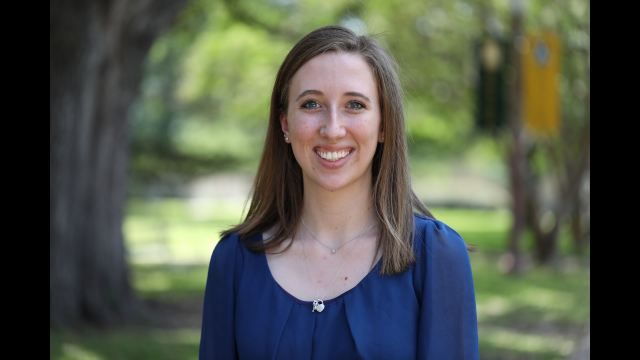 WACO, Texas (May 8, 2018) – Alexa Larsen, a senior neuroscience major at Baylor University, has been selected to receive a Fulbright U.S. Student Program award to the United Kingdom in global health. 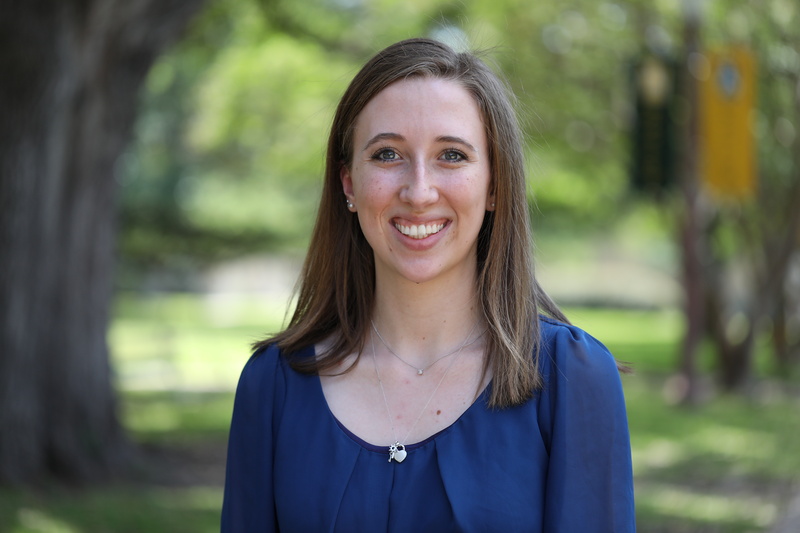 Larsen is among five Fulbright recipients at Baylor this spring and the University’s 56th Fulbright recipient since 2001. She is a 2014 graduate of Lake Zurich High School in Lake Zurich, Illinois, and the daughter of Lois and Robert Larsen of Hawthorn Woods, Illinois. Larsen will pursue a master of science in global health at the University of Southampton and conduct research as part of a project concentrating on interventions to prevent early motherhood. She is one of more than 1,900 U.S. citizens who will conduct research, teach English and provide expertise abroad for the 2018-2019 academic year through the Fulbright U.S. Student Program. Recipients of Fulbright awards are selected on the basis of academic and professional achievement as well as record of service and leadership potential in their respective fields. Larsen decided to apply for the Fulbright because of her desire, as a future physician, to work and research in the global health field. After the Fulbright, Larsen plans to attend medical school in the United States. She hopes to become a primary care physician, possibly in pediatrics, family medicine or obstetrics/gynecology, while also participating in global health work and medical service abroad. Along with her studies in neuroscience and pre-med, Larsen is involved as professional development chair for the Baylor chapter of the American Medical Student Association; mentorship chair of Medical Mentors, where prehealth upperclassmen foster the success of all prehealth students; a teaching assistant for the Foundations of Medicine course, a broad survey of premedical studies, preparation for medical school admission and the medical profession; and a neuroscience student ambassador. She also studied in a pre-med semester study abroad program in Maastricht and served on medical service trip to Kenya with Baylor faculty mentors Lisa Baker, M.D., Ph.D., clinical professor in the Honors Program, and William G. Hoy, D.Min., clinical professor of medical humanities. “Alexa is a woman who sees beyond circumstances to meaning and potential. She touches suffering without hesitation, and she considered it a privilege to share a patient’s deep pain,” Baker said, who also taught Larsen during her pre-med courses in Maastricht. At universities like Baylor, a liberal arts education provides a place to develop critical-thinking skills as they contend with complex issues. What most impressed Hoy is Larsen’s thoughtful contemplation of such big questions, particularly during class discussions on the meaning of suffering. During her studies at Baylor, Larsen had the opportunity to live out Baylor’s mission of worldwide leadership and service through engaged collaborations with Baylor faculty, the University community and professional health partners. Another faculty mentor, Richard Sanker, Ph.D., director of Baylor’s Office of Prehealth Studies, has worked alongside Larsen for four years and witnessed her leadership during a summer research experience in 2015 at the Baylor College of Medicine National School of Tropical Medicine laboratories. Colleagues at Baylor College of Medicine were so impressed with Larsen’s work, Sanker said, that they asked to develop formal undergraduate research internships with Baylor so they could have more students, like Larsen, support their research projects. Larsen’s primary academic concentration is in Baylor’s department of psychology and neuroscience, which is renowned for its high quality teaching, cutting edge research and professors who care about students reaching their fullest potential. Undergraduate students are offered a broad range of opportunities to work closely with professors outside of the classroom, in their labs, community agencies and on individual honors and research projects. One of her professors, Annie T. Ginty, Ph.D., assistant professor of psychology and neuroscience, earned her doctorate in behavioral medicine at the University of Birmingham in the U.K. and provided Larsen with advice about the system and assistance as she applied for the Fulbright. Ginty said she values Larsen’s character and found her to be driven, conscientious, innovative and a natural leader. Since its inception in 1946, the Fulbright Program has given more than 380,000 students, scholars, teachers, artists, professionals and scientists the opportunity to study, teach and conduct research, exchange ideas and contribute to finding solutions to shared international concerns. Fulbrighters address critical global challenges in all areas while building relationships, knowledge and leadership in support of the long-term interests of the United States. Fulbright alumni have achieved distinction in many fields, including 59 who have been awarded the Nobel Prize, 82 who have received Pulitzer Prizes and 37 who have served as a head of state or government. Baylor students who seek a rich – even extraordinary – undergraduate education are supported by faculty affiliated with SPARK (Scholarship Programs, Awards, Research, Knowledge), which is housed in the Office of Undergraduate Studies in Baylor’s College of Arts & Sciences. Students mentored by SPARK professors apply for prestigious scholarships, fellowships, internships and research experiences at the national and international level, including the Fulbright, Truman, Gates Cambridge, Boren and Rhodes. Many of these awards support study and research at the graduate level. Baylor students also compete for other notable awards, such as the Goldwater, Pickering, Humanity in Action, Critical Language Scholarship and National Science Foundation Research Experience for Undergraduates (REU), that fund undergraduate student research and study.